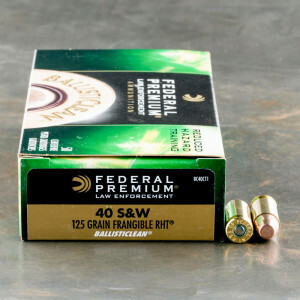 Frangible 40 cal ammunition is designed to basically turn to dust upon contact with a hard target, like steel. 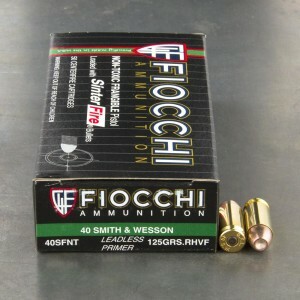 These rounds are favored by law enforcement training for close-quarters combat situations as the threat of ricochet is greatly reduced because of the way the bullet turns to powder when fired into a hard target. Great practice round for the wide to get used to shooting the gun.